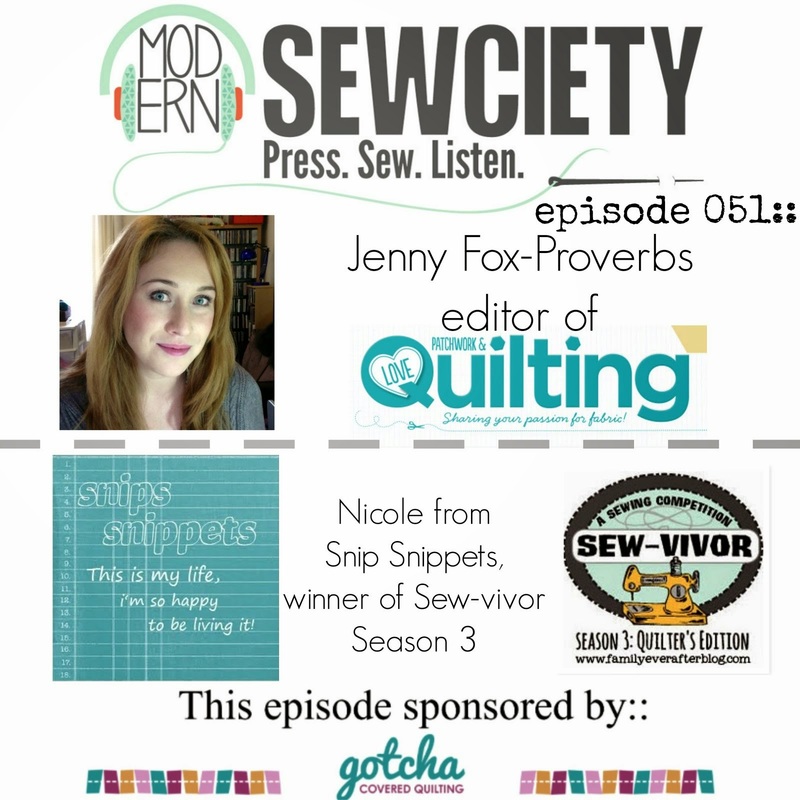 snips snippets: Finish it up Friday - the Penny Patch edition! Finish it up Friday - the Penny Patch edition! So it looks like at least one of my little guys will be getting his birthday quilt on his birthday this year! That's right! I finished Max's Penny Patch! I've loved the Penny Patch since first making it for my Penny Sampler, so when Rachel from Stitched in Color announced that she was going to do a Penny Patch QAL i knew that this was the quilt i wanted to make Max! I set about cutting and sewing and sewing and cutting. And thought i was doing really great with my time. So when the Christmas holidays rolled around i set it aside knowing that i would be able to finish it with plenty of time for his birthday. After pulling it all out again this month it turns out i wasn't nearly as far along as i remembered. To a fully finished top in just a day and a bit. And that included making about twenty or so more of the little penny patch blocks than i originally started with. I wanted it to read as primarily blue, while still having a bit of green to match Sammy's quilt (someday i'll get it finished!) And i think i successfully pulled it off, especially compared to the original layout. My OCD is still a bit twitchy with a few of the blocks (three to be exact), but in the grand scheme of things i don't think it really matters. Especially to my two year old, who already is super excited that this is his! fyi, he's not sitting down in this photo... enough with the snow already!! I kept the quilting pretty simple with this one, just a quarter inchish outside each seam in both directions. I considered going diagonal as well, but i'm glad i stopped with just two directions. I think the quilt itself already has quite a lot going on without all kinds of quilting. That and i'm lazy. 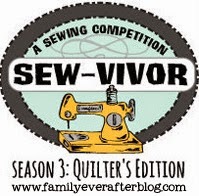 Yeah that's right, i said it, i'm a lazy quilter. But is there any better feeling than the one that comes with quilted intersections that aren't puckered all to crap?! Look at these intersections!! Go ahead, click to zoom in! I opted to machine bind this one for durability. I used a cute wave print from my stash and discovered that my machine has a wave stitch that i though i'd try! I'm not overly thrilled with the result but the thread i chose was the exact same blue and you can't really see it. I'm not big on machine stitched bindings but i love the speed of it and again the durability factor. I guess i just need more practice! I've used the ever popular Ikea Britten Nummer print for the back. A first for me and i will be using it again. Really people, 59 inches wide = no piecing for the back, and only 4 dollars a metre = more money to spend on pretty fabrics! And it also speaks to the font nerd in me! Again with this one i had grand photo plans. That were promptly thwarted by our lovely Canadian weather. Can we not get a bit of spring here?!! Please! So again with the backyard picnic table shots, sorry. Fabrics - too many to name, but mostly Sarah Jane's Out to Sea, Children at Play, and Let's Pretend. Quilting - simple straight lines, quarter inchish both sides of all seams, by me on my little old Ken. This one also knocks out another on my finish along list! High fives for a birthday quilt finish!! It turned out so cute! I really like the changes in layout too, it really does read as blue with green accents now. Oh what a fabulous boys quilt. I love all the wonderful prints and the final layout is perfect. I love all the fabrics in your quilt!! It's beautiful! Fabulous! Love the fabrics... especially the print with all the tents. And the backyard picnic table shots are lovely too. Sometimes you just gotta work with what you have. You've got me thinking about making my own Penny Patch. God help me... I have serious QADD! Happy Friday! I LOVE ALL THE FABRICS IN HERE AND YOU GOT THE COLOR PLACEMENT JUST RIGHT!!!! LOVE THE BIT OF GREEN AND THE LITTLE BIT OF RED!!!!! PERFECTO!!!!!!! HI 5'S FOR A BIRTHDAY QUILT BEFORE THE BIRTHDAY!!!!!! I I love your fabric selection, I seriously do! How did you find such great material at ikea!? Every time I go there they have nothing! And totally get the lazy thing and the Canadian photo problem- I sooo do! "It's not a proper quilt without Lizzy House." - couldn't agree more!! Love this quilt and love your choice to go with some simple quilting. Really makes the blocks shine. What an awesome quilt! You've included the perfect amount of green/red to keep it interesting. Simple quilting is the best! I am over trying to replicate those fancy FMQ designs. I love straight line (ish) quilting and it's FAST. I love this quilt! I just finished my Penny Patch and completely agree about what a super pattern this is! I also have a collection of pictures of my quilt in the snow! beautiful, and I love the little pops of green and red against the blue. and that Ikea backing fabric is perfect! Looks like winter is still going strong for you! Darling quilt ~ fabric! pattern and colors! It looks so pretty on top of the snow. It must have been quite cold taking pictures of it! Your little guy looks so sweet bundled up! Beautiful quilt Nicole. And the photos of the quilt on the snow are amazing. Great finish. I think your photos of this penny patch turned out beautifully! The Canadian winter makes the blues/greens/whites seem all the more crisp! Truly this is a lovely finish :o) I totally thought Max was sitting down in that photo! Hooray for you on a beautiful finish! Great finish on your quilt especially those intersections....I am one of those who quilts in one direction to avoid them and it still doesn't work half the time. I love the way the little squares create diagonals across the quilt. I wish I'd bought some of that boat fabric now! holy moly!! You did it and it is awesome! I love that backing fabric. I've seen it a few times here and there and just fall a little more in love everytime I see it. Lucky kid you have there, this is a beautiful gift! did you ever link this up with Rachel's link parties because somehow I never saw this one. it'd darling! I love this boy take on the penny patch. super, super cute. WIP Wednesday - the catch up edition!